Everybody enjoys a nice and delicious burger, and especially our customers at Chapps Burgers. Chapps burgers are the perfect combo of a grilled bakery bun and all-natural Nolan Ryan Beef. Of course, you can expect fresh, never frozen veggies and an amazing selection of toppings. However, one of the most important ingredients for a truly perfect burger is undoubtedly cheese. At Chapps, you can choose between 6 different options cheese-wise: American, Cheddar, Swiss, Pepper Jack, Bleu Cheese and Mozzarella. It comes as no surprise that these are top best cheeses for burgers since Chapps Burgers uses every opportunity to reflect the integrity, honesty and values of a true hometown hero. A true favorite for many burger lovers, Cheddar is your classic choice when it comes to boosting the flavor of your burger. The sharp, bold flavor with a slightly nutty note goes extremely well with a variety of toppings and buns. And when it’s aged a bit, white cheddar is a true delish! 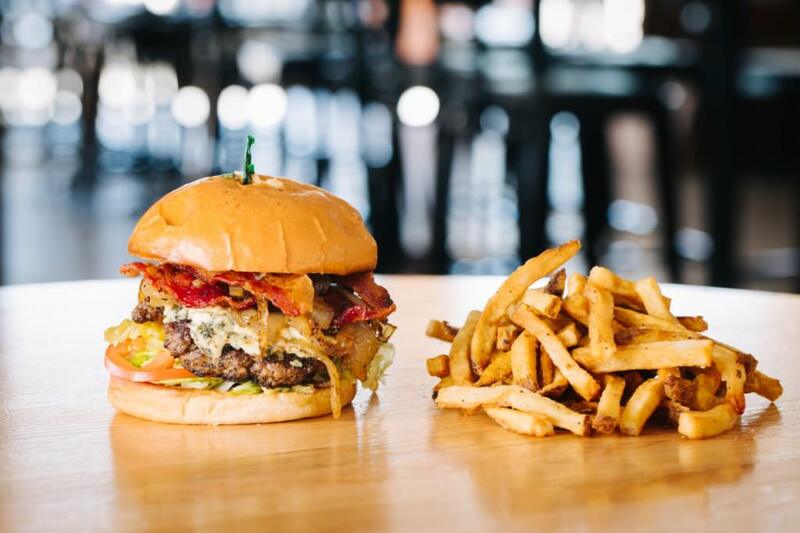 If you want a perfect partner for our Nolan Ryan Beef, you may want to try Bleu Cheese for your perfectly crafted burger. The taste is an intense combo of both sweet and salty. It’s all about the balance between black and blue. Like a bit of a spicy surprise with your meal? Then Pepper Jack is one of the best cheeses for burgers in your case. It’s not going to burn but you can expect a delicious heat, especially when mixed with Southwest-inspired ingredients. Another favorite among the burger and rich flavor enthusiasts is definitely Swiss cheese. Its complex flavor is difficult to describe. Most importantly, it provides a different experience for everyone. Thanks to the moist texture, Swiss cheese melts easily, which makes it even more of a heavenly delight. It may not be as exciting as the rest, but American cheese is still the king of best cheeses for burgers. After all, it’s light, convenient and perfect for melting. It simply goes perfectly well with any kind of burger and topping, and can be used over other cheeses, salads, eggs, grilled onions, etc. Want to craft the perfect Chapps burger but you’re not sure what cheese to pick? Mozzarella will always be your safe bet without missing out on the richness and deliciousness of the melting cheese. It’s creamy, soft and milky, and pairs amazingly well with all Chapps burger ingredients. Do you have your own favorite cheese(s) for burgers? If it’s on our list, or you’re willing to try something truly delicious in a pleasant and welcoming environment, don’t hesitate to visit us at one of our seven locations in the Dallas/Fort Worth metroplex. Also, you can actually get Chapps delivered through UberEATS or DoorDash depending on your location!